Starting a brewery isn’t easy. It’s a lot of hard work and it is worth it. But you don’t need to figure out how to start a brewery on your own. Hundreds of breweries opened last year just in the U.S. Follow what works for others. These are resources that I use, or resources that I know and trust. More breweries require their staff to be Certified Beer Servers. While I was preparing for Certified Beer Server exam, I started wondering whether I was overstudying. People told me they had passed the exam over a couple of beers without even studying. But just passing wasn’t good enough for me, I wanted to learn and gain working knowledge of the material. Finally I took the exam and even missed several questions. Then I was glad that I spent so much time studying! You don’t have to spend as much time as I did going through all of the recommended sources looking for information relevant to the exam. 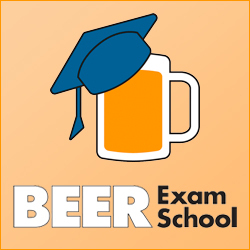 Go to the Beer Exam School website and use my free study notes and flashcards to pass the heck out of the Certified Beer Server exam the first time! Check out the Book Recommendations page for books recommended by industry insiders. I ask every guest of MicroBrewr Podcast to recommend a book that will help us succeed in opening a brewery. Each book recommendation is listed from the answers shared with the number of times each book was recommended. In case you haven’t heard it, MicroBrewr has a weekly podcast interviewing brewers and brewery owners. There are also guests from other sectors of the industry like distributors, retailers, and marketers. We go deep to get inside the industry and inside the heads of people who work there. Past guests include nanobreweries, microbreweries and brewpubs, and larger regional breweries like Ninkasi Brewing, 21st Amendment, and Anchor Brewing. Podcasts are better than radio because you can play it when you want. Subscribe on your computer or on your smartphone and listen anywhere at all! Pause the show, and it’ll be there, waiting when you’re ready to listen again. Most podcasts are free and the advertisements aren’t as annoying as on the radio. It’s a free bank of knowledge! Here’s a list of the best craft beer podcasts on iTunes. 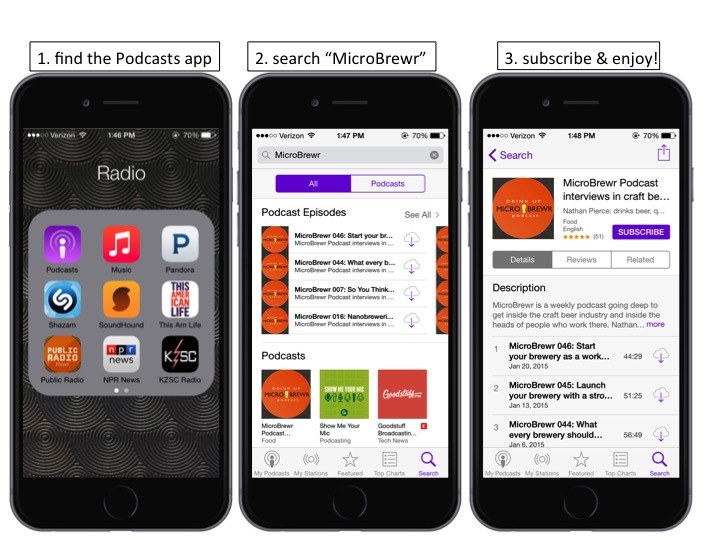 If you want to know how to subscribe, rate and review a podcast, check out these 3-easy steps or watch the video tutorials on the MicroBrewr channel on YouTube. 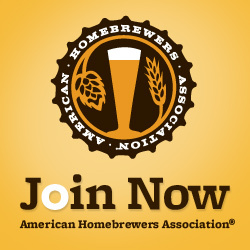 Here’s a list of contacts to find out what the alcohol laws are where you want to start a brewery. MicroBrewr founder, Joe Shelerud wrote a great article about questions to ask others breweries when planning to start your own brewery. With a master’s degree in business administration Joe is always look ing to put all the pieces together. As part of that blog post, he created an Excel spreadsheet to help give an approximation of the financials of a brewery while in the research state of a business plan. He had responses from 61 craft brewery owners. It’s one of the most popular posts on MicroBrewr. Design is important. Your image conveys your message. Be sure to use excellent design in all you do. Rob Martin Graphic & Web Design: I’m really pleased with the design work that Rob did for Beer Exam School and for MicroBrewr coasters. I’ve seen other work that he’s done and it looked really good. Rob is good at getting down to the essence of a concept and coming up with a good, unique design. Upwork (formerly Elance): This is a great resource for all sorts of design work and other freelance work. Scotty Melvin was commissioned from Elance (now Upwork) to do the announcer’s voice in MicroBrewr podcast. It was a really easy process and I got the finished product with a super fast turnaround. Starting a brewery is a lot more than making beer. These days, running a business also includes running a website, running a social media company, and maybe a hundred other things. 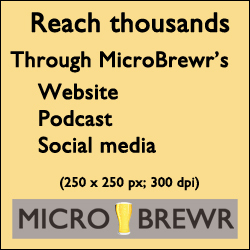 Or maybe you just found this page wondering how MicroBrewr website and MicroPodcast got started. Here are some resources for starting a website or podcast. Some of the links above are “affiliate links.” If you click the link and buy something, I will receive some money from the purchase. It doesn’t add anything to your purchase price. While I have not personally read all of the books listed here, based on the guests’ recommendations, I feel that these books will truly provide value to you. Please do not purchase any of these products unless you feel that you need it or that it will help you achieve your goals. Read more at the Affiliate Disclaimer.